Thanks! I love my little dog! The reason for her attentiveness on the slide is that another dog had appeared at the park at she was trying to look at it. She does pretty good on the slide…all of my dogs like it. 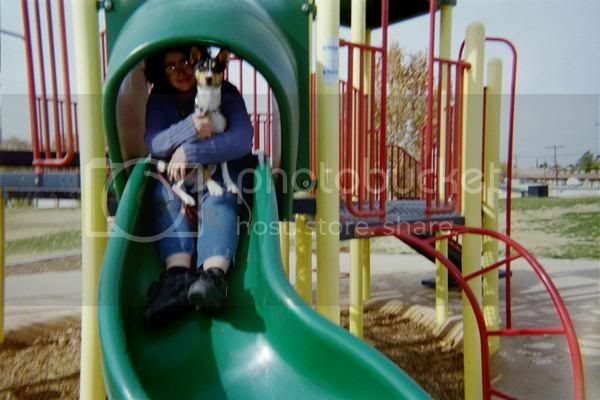 But she is the only one I cannot send on the slide by herself....but that's just because she's a B. Unfortunatly i don't really know anyone around here who is a member of BCOA...Pheonix's owner is the clostest basenji owner I've had contact with. But I don't think it will be to problematic right? 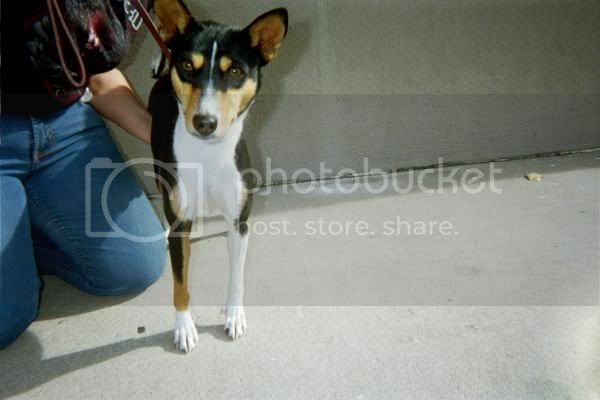 I mean clearly she's a basenji. Thanks Sharron, i think she is good looking too, but I consider myself highly biased. Hope you liked them! 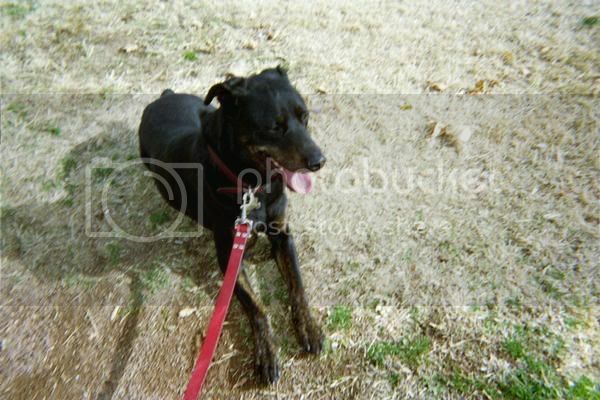 The pictures with Kiora only are in the "Show off your dog" section. I finally got around to putting on some pictures. 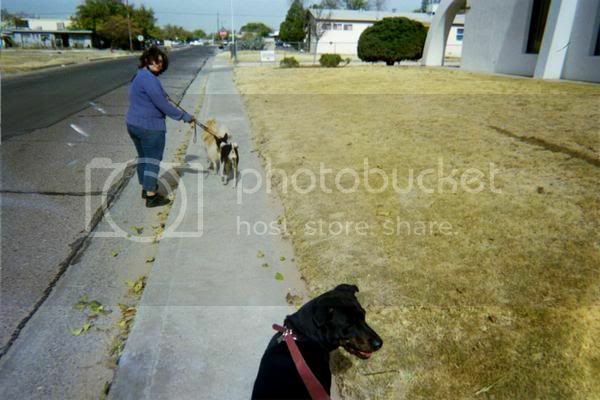 O.K question…Are these pictures o.k for her ILP? 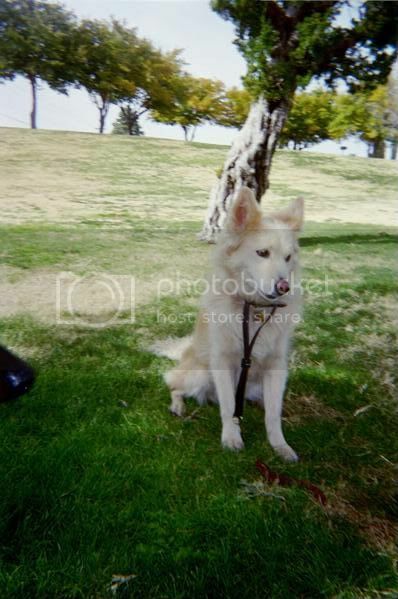 I am going to put some pics of Ananda and Keoke on the other pets forum too. Mya is lovely! I can't wait to see pictures of your new puppy. RE dew claws both my dogs including the B have them. I have not found this to be problematic. and my dogs are very active. My sisters dog, had two sets of dew claws and one of them was very loose and poorly attached, so we had the extra set removed when he was nuetered. He still retains one set and has never had problems with them. I know that dogs can have dewclaw problems, but most dog owners I know have dogs with intact dc and their dogs don't have problems. I guess to me it seems like removing the appendix on a baby because it can cause people problems potentially. Now I'm not going to say that breeders should not have dewclaws removed its pretty common practice. But to me it's not a mark of irrisponsibility to leave them on. To me a breeder who health tests, only breeds dogs of sound temperment, takes back their dogs at any time, and sells puppies with spay/nueter contracts is responsible. I did read that in the B standard about dewclaws and I remmember being suprised….The reason of a standard is to describe the perfect example of a functional specimen of a breed. The features set out in the standard that set the breed apart dictate...in theory...define its ability to do what it was bred to do. Basenjis in Africa don't have dewclaws removed and they function just fine...so how can it be incorrect then to have them? I believe someone also reminded me though the other day that there are no disqualifications in the basenji standard.For that matter how can anyone who overlooks umbilical hernias as no big deal, make such a fuss about something a dog is suppossed to have? I am probably treading into dangerous territatory here...I am not trying to insult anyones breeding practices...I am not a breeder. I am just trying to understand where everyone is coming from on this. Clearly I don't understand some things that seem to constitute responsible and irrisponsibe breeding. I don't expect anyone to answer...poor Mya's Mom's thread has been hijacked enough. I wish that someone would be able to send me a private message regarding it but since that is not possible ...I guess my question should just be considered retorical. additional I know nothing about Kiora's breeders, but I do know that she has her dewclaws and she is clear for Fanconi. (She is in the OFA database if anyone cares to look.) One of those facts is very important to me, and the other one, isn't. Happy B Day pretty girls! lol, sounds like a B to me! 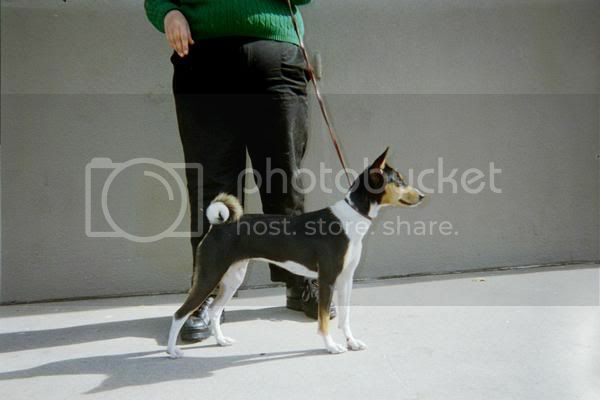 Basenjis have varying amounts of tail curl, and the tail can be single curled or double. So if less tail curl is the only difference no doubt she is a purebred. 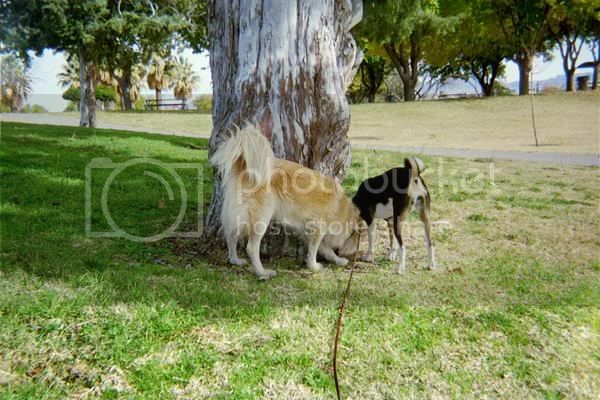 Her behavior also sounds very basenji typical….they keep you on your toes! Make sure you do some research on Fanconi Syndrome, a desiese that basenjis can get. I would also recommend that you get her tested for it with The Fanconi DNA marker test, the cost is about $65.00, and it is a very important test to determine if your b might develop fanconi. Anyways welcome! This is a good forum for any basenji owner especially a new one....lots of people to help you out! Are you on my space? if you look up I think if you search my name Rachel in conjuction with Las Cruces on my space, you should be able to find me. 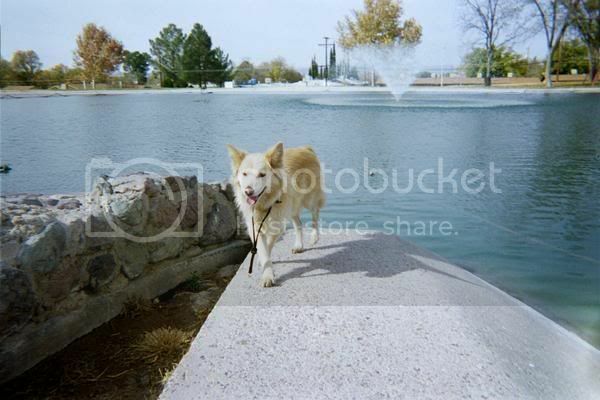 My Pic is of a yellow dog…my non basenji dog. What I am writing is within the rules right? because I didn't put my e-mail or telephone. I would put a direct link but I am not sure if there is too much personal info on my profile? 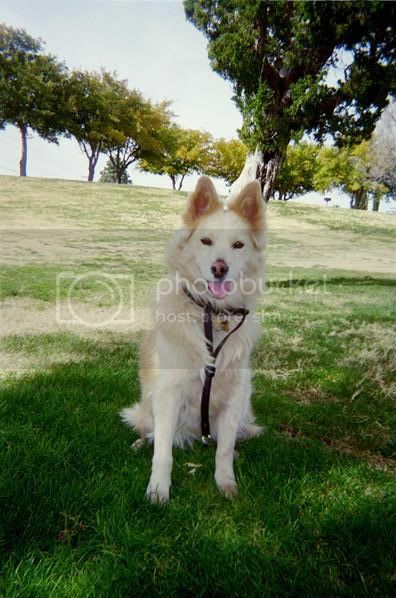 Anyways Rachel, Las Cruces, my profile pic is of a longhaired yellow dog curled up in a chair. Sorry..I can't for the life of my figure out how to Pm on this board! Anyways…I noticed that you are located in El Paso...I am in Las Cruces.